Successful people know that complaining about a problem doesn't get you very far. Trying to solve it does. The choices to become successful are relatively simple. Successful people do something--anything--even if the options aren't the greatest. They get hurt, they fail, they pick themselves up and say "That really sucked." Then they do something about it. They make a choice. Sure, psychic repair is often necessary to move on, but even that is a choice--to go on the mend versus get stuck in the mess and blame everyone else for being stuck. 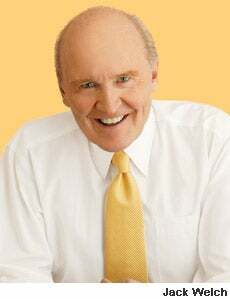 I got this message loud and clear when working on a video with Jack Welch, then head of General Electric. We videotaped an unscripted session of executives from each of the GE sectors asking Welch candid questions, which Welch answered in his more-than-candid style. One of the executives was lamenting that the new "Work Out" program Welch introduced to rid the company of unnecessary bureaucracy wasn't effective. He complained that he was working 90 hours a week and couldn't make time on weekends to be with his family. My jaw fell when, instead of giving an understanding, empathetic answer, Welch said, "That’s your fault." Welch went on to admonish the guy, and everyone else listening, that if they couldn't find time for important things in their life outside of work, it was time to change the scope of the job or get out. If you can’t change it by talking to your boss or delegating, the only other choice is to get out. Because, Welch said, bitching about it and bringing everyone else’s performance to a standstill is not an option. This is about choosing. It’s about taking charge of the results in your life. You can’t control everything that happens to you, but you can absolutely take control of what you do about it. Successful people, I have observed, do exactly that. Blaming others for what they did or didn’t do that caused you to fail is clear sign of mediocrity and an easy trap to fall into. Here’s why it’s easy: You’re actually wired for it. Human beings yearn to belong. Failing the group is a sure way to not belong, so we make up excuses and sometimes petty lies to avoid being the one who screwed up. Millennia ago, if our ancestors were exiled from the clan for bad behavior, they were devoured by nasty beasts while trying to survive in the wilderness. We continue to feel that way because the nasty beasts are sometimes our clients or bosses. We are also drawn to associating with a winning clan and disassociating from a losing one. When the home team wins, you say "We won!" When they lose, you say "They lost." But sometimes you are on the losing team. It's easy to be charming and wonderful when you're winning. The truly successful people are those who don't shirk their failures and only claim victories. They accept both. What it comes down to is that success is a choice. It's a state of being. Sometimes it feels bad to make tough decisions that put us out in the wild. But the lessons we learn as we wander in exile are often the ones that make the difference between brilliant insight and a mediocre existence. It takes courage to choose. And make no mistake: You’re always making a choice--even if it's the choice to do nothing and lose. It's still your choice.